Buy the Farm . . . Share: Bachelor "Weekend"
August has started out, pretty much, in an effort to reduce our grocery spending whilst cleaning out the fridge, pantry and freezer. Like all cost cutting measures this has meant a decline in dinner enjoyment. Luckily for Jen she was out of town much of this week on business so I had one of my now infamous bachelor weekends. 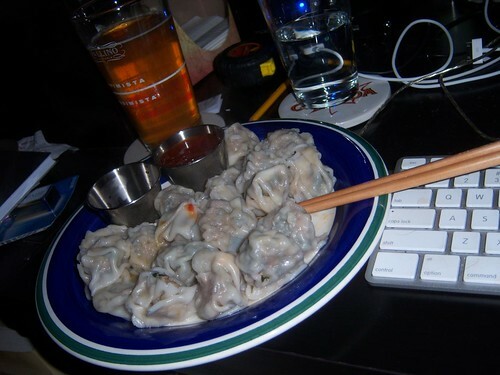 A bachelor "weekend" for me consists of leaving the house only to go to work and eating at my computer desk. Jen is safe to not worry about me getting involved in anything more nefarious as I am far too lazy. St. Patty's Day power outage that took its toll on these little guys. But with enough tamari and sweet chili sauce even freezer burn can be masked. Jen was kind enough to leave me with a huge batch of cookies the night before she left. This left us with about ten eggs left in the freezer. We generally only use eggs in baking and maybe go through ten a year in other applications. Jen is usually against the use of eggs in non-baking applications. She'd be just as likely to server herself a bowl of baking soda than make an egg for breakfast. 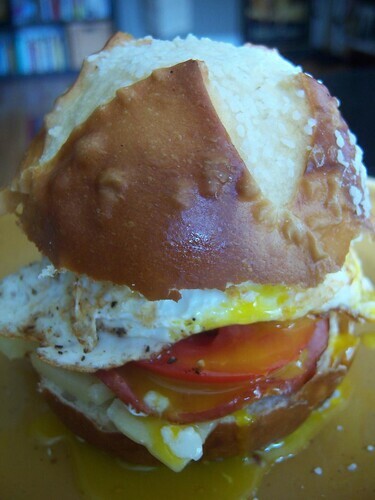 Still on a pretzel roll kick I made myself a lunch sandwich on Wednesday with cheddar from the world's greatest least expensive cheddar producing countries: England Australia! I fried up some Canadian bacon, sliced some tomato, and fried an egg for the top. It was quite delightful. If you have the ingredients, I highly recommend this for a rainy day brunch. 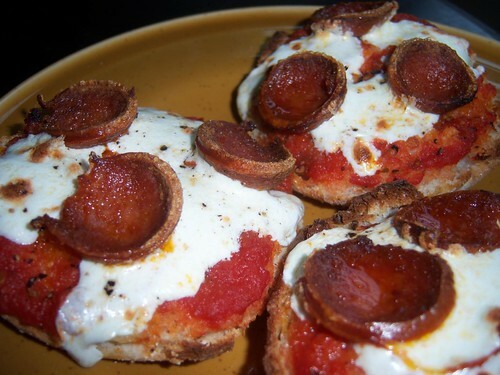 For dinner I used up some leftover tomato sauce, mozzarella cheese, and English muffins from the freezer along with a stick of pepperoni that's been residing in our crisper long enough to owe us at least a few hundred dollars in back rent. 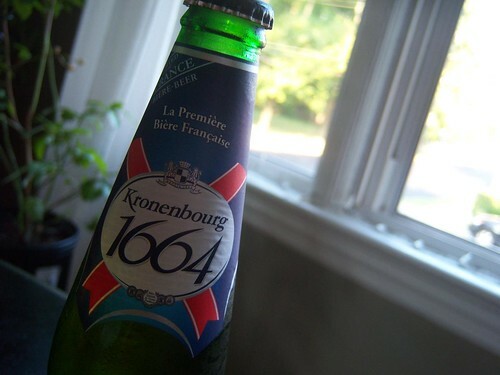 This bachelor "weekend" was brought to you by Kronenbourg 1664, La Première Bière Française. In the time Jen has been gone I've put back four of these bad boys. That's right, four! I guess that's why back in my college days they used to call me, "Four Beers in Four Days Beaudry!" I guess in some days I've never grown out of my wild and reckless college years. Hepsi birbirinden güzel görünüyor. Ellerinize sağlık.